This is a delicious healthy recipe that ideally is prepared in the spring, when green garlic is at its peak at your local farmers market. 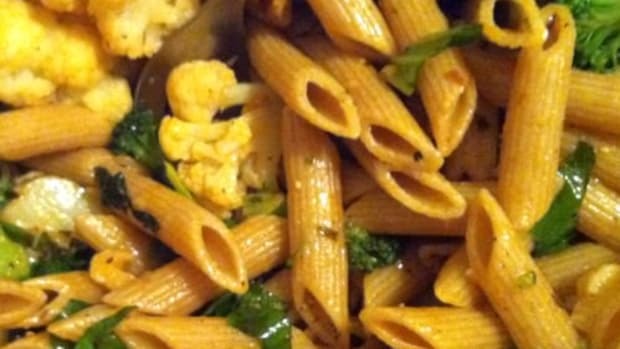 If green garlic is out of season or you just can&apos;t find it, substitute with organic garlic. If you do find spring garlic, remember it can be very mild. If it is too mild, add more to the recipe to your taste. This dish could easily be one dish dinner recipe. Here&apos;s to eating healthy, delicious food! Follow instructions on package to prepare orzo pasta. Bring a medium size pot of salted water to a boil (water should taste like the ocean). Meanwhile, remove stems from broccoli crowns, and slice crowns into bite size pieces. Prep an ice water bath to blanch and shock broccoli crowns. Once water has come to a full rolling boil, place broccoli crowns in water and cook until they are just under fork tender and bright green. Remove broccoli and place in ice water bath. Wash green garlic and remove tough outer skin. Trim root and cut away tough upper portion of green leaf. Cut lower tender part into thin rounds. In another medium saucepan over medium heat, bring butter, olive oil, green garlic, anchovy fillets, capers, lemon zest, juice to a simmer and reduce to low. Simmer about 10 minutes. 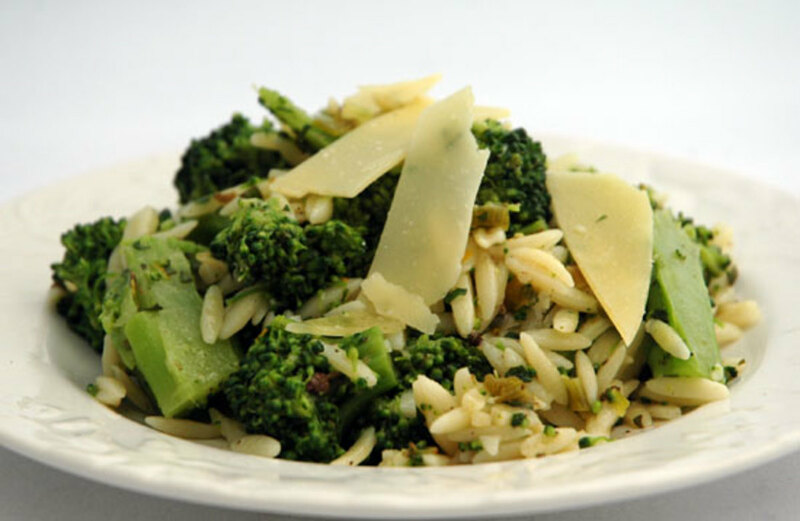 Toss with broccoli and pasta, taste for seasoning and adjust with a little salt and pepper. 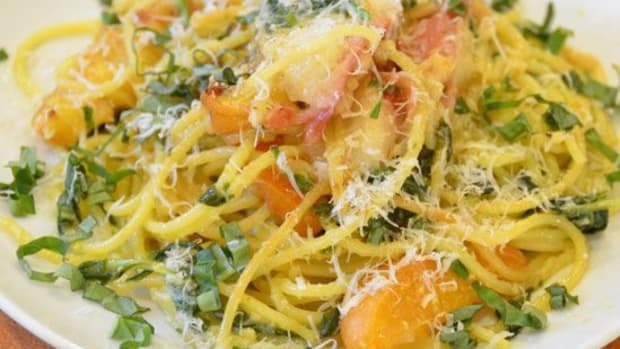 Serve immediately and garnish with parmesan if desired. Note: Because you love organic food and follow an eco friendly lifestyle, OrganicAuthority.com recommends using certified organic ingredients, in all of your food recipes when available, to maximize flavors and nutrition while minimizing your risk of exposure to pesticides, chemicals and preservatives.